Whenever I see a clothes maker consistently dressed in an unobtrusive but well-cut, well-tailored, usually black ensemble, I picture their work space, cluttered with swatches and scissors and sketches and sheets of colour samples. Rising amidst this organised chaos is a massive pinboard, displaying a sign in cursive ebony, a sign that proclaims, ‘I will not be dictated by fashion’. Beautifully ironic, isn’t it, that the magicians who conjure up wardrobe fantasies are least affected by the drama themselves? The ones who present fashion season after season are also the ones most fatigued by it. An overload of shades, dyes, materials, silhouettes, drapes and whatnot could very well be the cause of aversion when it comes to the personal closet space. It’s a bit like bringing work back home at the end of the day — one would much prefer leaving it behind at the office desk. The job itself is hardly glamorous; apart from bespoke appointments, the major part of the day involves racing across floors of the workshop — this alters a bit at fashion shows when the racing and pacing all happens backstage — not much scope to glitz up either way. And most don’t see the point in a makeover for those few seconds of bow-taking on the ramp. A uniform, so to speak, is functional, quick to put together, fuss-free and usually comfortable, with the additional USP of maintaining a signature style without becoming a focal point. 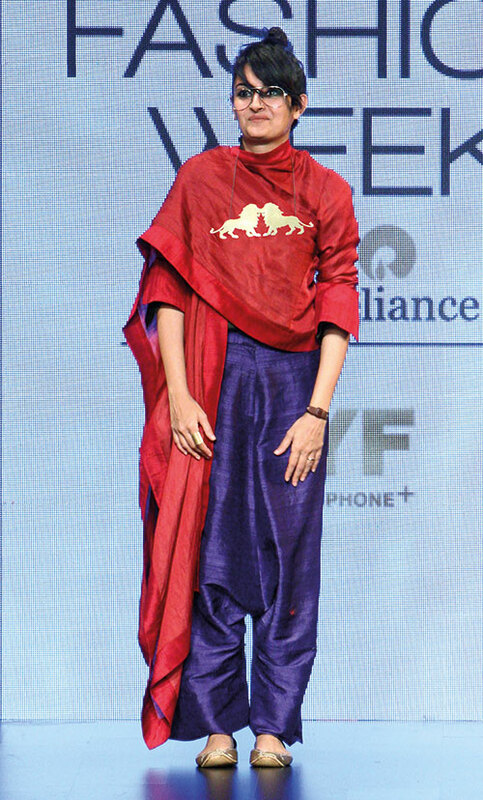 Look closely and even the ones who appear to be dressing to the nines are principally following a set pattern (with a few exceptions, like John Galliano, whose theatrical costumes caused as much of a flutter as his runway hits) — Carolina Herrera in her tailored white shirts with either a pencil or full skirt; Payal Khandwala in her medley of colourblocking, in sync with the current collection. 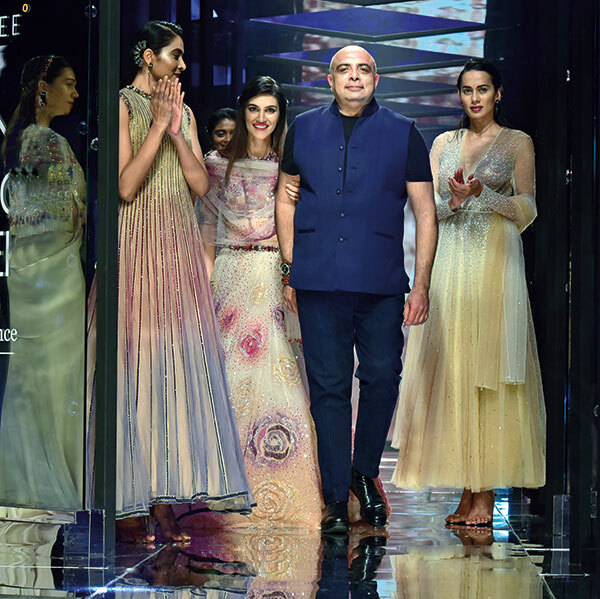 Then there’s the streamlined black brigade — Payal Singhal, Rohit Gandhi and Rahul Khanna, Vera Wang, Tarun Tahiliani…this list can go on and on. 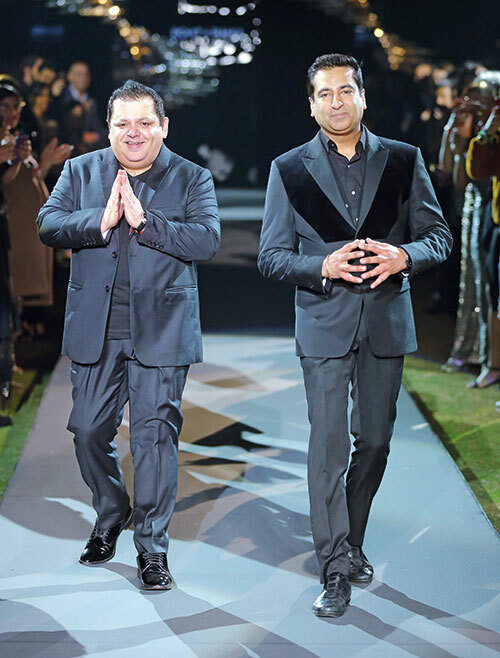 When it comes to Karl Lagerfeld and Kallol Datta, even the silhouette dare not vary. There’s also that ultra-casual bunch who won’t give up on tees and jeans — Monisha Jaising and Alexander Wang come to mind immediately. Designers are not stylists. They’re not supposed to look the part, nor do they have the time to do so. The product is king — the statement maker and attention-seeker. The innovators take a backseat, with many opting for a utilitarian, unaffected mix. But within this circle of sameness, it is sometimes possible to find an individualistic quirk or two. Payal Singhal will readily admit that “I mostly dress in comfortable clothes for work in the day — cotton pants with shirts and flats, and mostly all black for an event or night out. After spending the day designing clothes for others and worrying about their look, I just don’t have the energy to think about what I’m going to wear. It’s also a classic case of ‘the cobbler’s son has no shoes’ — I am always the last one to get something from my own brand!” That however, doesn’t stop her from experimenting with other labels, often choosing unconventional shapes and details that she knows will flatter her form. Shoes and bags are subtle but effective, showcasing the highest pedigree. The French believe in the ‘less is more’ mantra, as do many a style icon — simplifying the wardrobe, curtailing on ‘stuff’, donning pieces that follow bodylines rather than trends, selectively stocking up on top-notch classics. Looking at the design elite, it seems they’ve got it just right.